Nvidia and Acer reshaped the PC landscape today by setting a new standard for small PCs with the introduction of the world’s first NVIDIA ION -based PC, the Acer AspireRevo. The ION-powered Acer AspireRevo provides an incredible media experience including support for HD video, photos, and games. 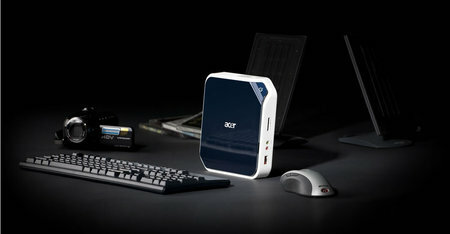 No larger than a typical hardcover book, the Acer AspireRevo is a fully capable desktop with advanced graphics and impressive multimedia features. Equipped with NVIDIA ION graphics, the system can handle a wide variety of computing needs including high definition video, gaming, sharing digital photos, surfing the web, and other tasks consumers expect from full-size systems. 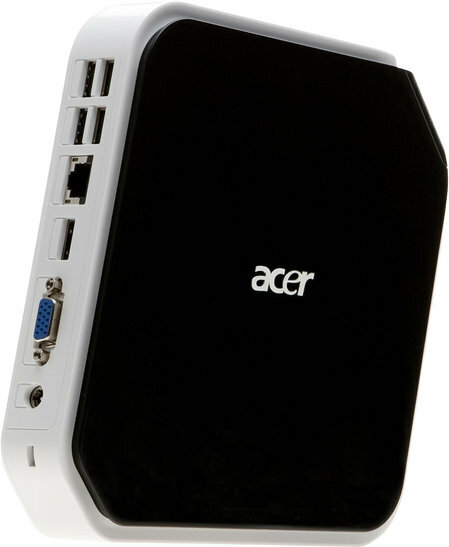 The Acer AspireRevo features 6 USB ports, HDMI, Ethernet, eSATA, a four-in-one card reader, and a VGA connection. The AspireRevo represents a sharp break from 20 years of big, power hungry, and expensive PCs by delivering a full PC experience in a small, energy efficient, and affordable system.